In Davao City, it is not only this city that is "big"; there is also the The Camella Davao. Davao City is the largest city in the Philippines in terms of land area. It is the capital of the province of Davao del Sur in southeastern Mindanao. Davao City is also one of the safest cities to live in Southeast Asia, according to the numbeo.com site in 2015. On the other hand, The Camella Davao is a Caribbean-themed residential house and lot development in this city that offers innovative house features and at the same time has nature-inspired setting typically different from most conventional property developments. And it is also big at 27 hectares! The project lies in a relatively rolling terrain in the heart of Davao City. The property sits a few kilometers fronting the Davao International Airport. Located specifically in Communal Buhangin, Davao City, the site is also close to the world famous Mt. Apo, the highest peak in the country. The proximity of the site from Mt. Apo refreshes its surroundings with cooler breeze and provides more "lungs" to the vicinity. The residential development offers 4 types of houses (Lessandra, Camella, Jewel and Luxuria series) in 14 similarly impressive and mixed house models of the Camella Home Series with Caribbean touch. Constructed mainly in 2-Storey Single-Detached, 2-Storey Single-Firewall and 2-Storey Townhouse (inner and end units). Unit sizes vary from 40 to 179sqm of floor area while lot area varies from 36 to 150sqm. These variations in sizes will give homeowners to pick the right size for their needs. There is carport provision for each unit, 3-4 bedroom spaces, 1-2 T&B, kitchen with sink and dining and living areas; with provisions for maid's room, balcony, study area, covered porch, lanai, family room and powder room for selected units only. The amenities will surely make the tired and exhausted rejuvenated when they seek these dazzling features, consider these: Clubhouse, swimming pool, tennis court, pocket parks, playground, jogging trails and so much more. Schools do abound in this part of Davao, such as the Ateneo de Davao University, University of the Immaculate Conception, University of Mindanao, UP Mindanao, University of Southeastern Philippines, Davao Doctors College, St. Peter's College of Toril and the Assumption College of Davao. Similarly, hospitals are also near the Camella Davao, the likes of the Davao Doctors' Hospital, San Pedro Hospital, Davao Medical School Foundation Hospital, MMG Hospital, Brokenshire Hospital, Davao Medical and Research Center, among others. There are also numerous shopping and commercial centers that dot the city, which include: SM Lanang, Ayala Mall, Gaisano Mall of Davao, NCCC Mall, SM City Ecoland, Victoria Plaza Mall, Abreeza Mall and the Felcris Centrale Complex. Davao City is a famous place known for its durian, tourist locations, friendly people, and fun festivals. It is the largest city in the Philippines in terms of land area and is also the third most populous city in the country. It’s a highly urbanized city located in Mindanao and is considered to be the counterpart of Luzon’s Metro Manila. Perhaps, the city is most famous for its Durian and it is even called as the Durian Capital of the Philippines. A highly urbanized zone, Davao city features many establishments, making its atmosphere very similar to Metro Manila. However, the difference is that it still features the lush greenery and scenic offerings of Mother Nature. You can see Mount Apo in Davao City, the tallest mountain in the Philippines. Mount Apo is home to 111 bird species that can only be found in the area, including the Philippine eagle, the country’s national bird. Aside from the Philippine eagle, there are also other titled plants that can be found abundantly growing in Mount Apo such as the “waling-waling”, known as the “Queen of Philippine Flowers”, mangosteen known as the “Queen of Fruits” and durian, known as the “King of Fruits”. Aside from Mount Apo, there is also the Davao River measuring 150 kilometers in length. Taking all of those and more into consideration, Camella Davao is born. Camella Davao is an affordable self-contained community in Mindanao, blanketed by fresh air and surrounded by natural formations and bountiful flora and fauna. Located just 2 minutes away from Davao International Airport, Camella Davao is conveniently located at one of the most strategic locations in Mindanao. Aside from its very close location to Davao International Airport, there are plenty of schools, universities, places of worship, hospitals, seaports, malls, and commercial areas that can be easily accessed from within the community. Davao City is rapidly growing and its industrialization is happening very fast. Real estate developers have seen the city’s potential and have developed many communities, buildings, and residential/commercial business towers within the area. Camella is one of the most popular and the largest homebuilder in the Philippines. They are offering high quality yet affordable housing options for Filipinos for more than 40 years. They have accomplished almost half a million houses in 39 provinces and 104 cities all around the country. They are continuing to build more in order to provide Filipinos from all walks of life a comfortable place that they can call home. Camella Homes is a subsidiary of Vista Land, a housing and residential developer. 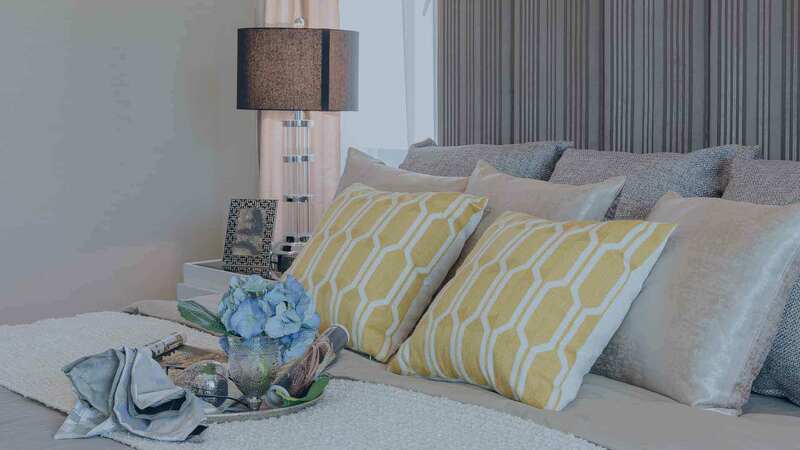 Camella Davao offers two house model series. The easy homes series and the classic home series. All in all, there are sixteen different house models to choose from with prices ranging from PHP 1,050,000 to PHP 6,200,000. The following are the models easy home series – they are accessible for more people compared to the classic series in terms of pricing. Aside from that, they feature a more modern design. The ground floor consists of the living, kitchen, dining, and toilet. The second floor consists of the 2 bedrooms. There is a window in the toilet, one in the dining, and one in the living area. The bedroom units each have two windows of their own. The ground floor has the living, dining, kitchen, and toilet. The second floor has the bedroom units. Like the other houses, the ground floor has dining, kitchen, living, and toilet. The second floor has the two bedrooms. Ground floor has living, dining, kitchen, and toilet. Second floor has the two bedrooms. The ground floor features an entrance step at the front and stoop at the back. Located here is the living, kitchen, and dining area as well as the first toilet and bath. The second floor features a hallway separating the two bedrooms. There is also a toilet and bath beside the second bedroom 01. The ground floor houses the kitchen, dining, toilet and living area. The second floor has the three bedrooms and the second toilet and bath area. There are one master’s bedroom and two single bedrooms. The ground floor has the living, kitchen, toilet & bath, dining, and an extra bedroom. The second floor houses the other three bedrooms along with the second toilet & bath. The master’s bedroom has its own toilet & bath. The ground floor has the kitchen, living, and dining area and the first toilet & bath. The master’s bedroom is also on the ground floor and it has its own toilet & bath. The extra room is also located on the ground floor, near the kitchen area. The second floor is where the three bedrooms are located along with the second toilet & bath. One of the bedrooms is capable of housing two separate beds and the other bedroom can house a twin sized bed and finally, the last bedroom is a standard sized bedroom. Ideal for larger families or those who want a spacious house, Freya offers everything a family needs. The ground floor has a porch and carport. This is also where the living, dining, kitchen and first toilet & bath is located along with a bedroom that can house twin sized bed and other stuff and an extra room that can either be a storage room or an extra bedroom. The second floor houses the three bedrooms as well as the second toilet & bath, which is shared by the 2 bedrooms. The master’s bedroom can also be found on the second floor and has its own toilet & bathroom. Finally, the family room which is connected to the balcony, allows everyone to do various kinds of activities. The largest offering of Camella Davao, this large house features a carport capable of housing two cars, a porch at the entrance. It also has a balcony on the second floor. The ground floor consists of the living, dining, kitchen, and a toilet & bath. There’s also two rooms here, a bedroom capable of housing a twin-sized bed and an extra room that can be used as a single bed room, for guests or additional household members. At the second floor, is the Master’s Bedroom which has its own toilet & bath along with the other two bedrooms. The second general-access toilet & bath can also be found there. The bedroom located on the right side (if coming from below) has an access to the balcony that features a decent amount of space. Looking for live chat operators? We suggest HelpDesk 247. Camella Homes Camella Davao City in Davao City, Philippines is a premier House & Lot project available for sale. If you're looking to rent or purchase Camella Davao City, then check here first. We have full details of Camella Davao City updated regularly as well as everything you need to know about the availing and booking process, broken down into stages that includes selecting a unit, choosing a payment plan and buying your dream home at the right price. For price list, free site tripping or showroom visit, personalized service, model house, unit plans, floor plans, payment terms, CHAT LIVE with an agent 24x7. We are Remax Perfect Homes. Always only buy from PRC licensed Real Estate Brokers and Agents.